I bought a bottle of Bianco last week for the first time in my life and I made it as it says on the bottle. Unfortunately, I didn’t like it much as it tasted a bit too bitter to me. I’ll put the bottle in the freezer and try again. 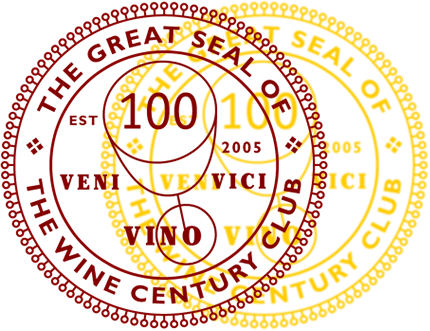 We have started carrying Vermouth at the wine bar and trying to get creative with recipes. Would love some input from everyone here. Oliver, I may have to try your lemon! One recipe that we are currently using: 3oz Dolin Blanc Vermouth, 2oz club soda, shot of Grenadine – serve well chilled in a chocolate rimmed glass. (We call it the Cherry Kiss). Good to know that Vermouth is so popular! Oh, that sounds lovely! I really am a bit of purist when it comes to these Vermouth-based drinks. It has to be Martini Bianco though, not the dry stuff, because the sweet Martini Bianco is greatly balanced by the lemon. I sometimes add some mint leaves. Ken makes a fabulous whiskey sour, a family recipe from the mid-20th century when everyone routinely drank buckets of booze — it packs a 1950’s wallop. Not for the faint-of-heart, but lovers of lemon and sweet get addicted to this stuff. First he mixes a simple syrup made with freshly-squeezed lemon juice and powdered sugar, which he keeps in the fridge (makes great lemonade, too–just mix with water to taste and add ice. I’ll get the proportion of juice to sugar for you tomorrow). To make the cocktail, mix 1 part lemon syrup (1/2 jigger/ounce) with 3 parts whiskey (1-1/2 jiggers/ounces). Double for 2, etc… Sip responsibly. I’m sure all that vitamin C keeps a person healthy. I saw this post over at Winegetter’s place, and it really caught my attention. I’m already checking my local wine retailers to see who carries this vermouth. Although I’ve never had vermouth aside from in a martini cocktail, Winegetter’s “way” sounds worth exploring! Ha, will check it out! You know, I’ve never had Vermouth except as a part of a martini cocktail. I LIKE Campari – Campari and soda, in particular. But I very rarely drink aperitifs. Perhaps I should give it a try, this Martini and your recipe. Oh WOW, I am addicted to Vermouth. Let me know what you think when you try it!! Thanks for asking! The bitterness is lower than in Campari. Campari is really bitter to me, although I do like it sometimes with orange juice. This one has quite some sweetness to it which soothes the palate. Is Martini at all similar to the Italian Campari? I tried that once at my husband’s grandpa’s home in Munich . . . I wasn’t prepared for the bitterness! 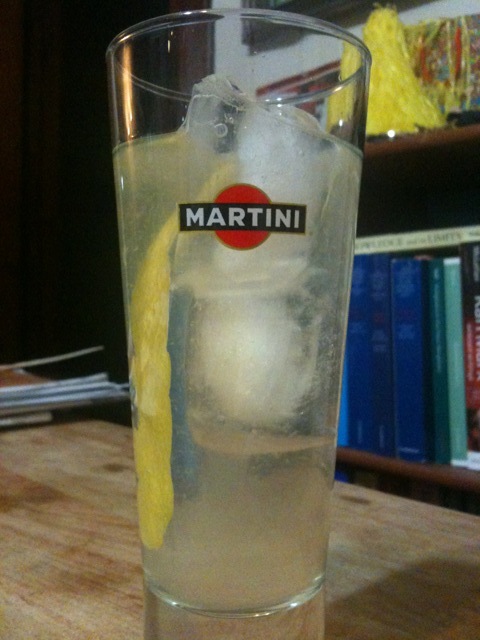 The Martini with lemon is so pretty! Salud!! Hey Oliver, I think the link to your Rose post is not working (at least I don’t see it). Martini might be the only Italian aperitif I don’t enjoy :P Not sure why.. I never tried it with lemon so I’ll give it a try once the weather gets better here. I’m happy to hear that winer has finally come to an end in Ann Arbor! Over here in Munich it’s either raining or cold.